We asked the women of UrbanClap to reveal their favourite red lipsticks, and in the process, we found the best red lipsticks for Indian skin tones. The best red lipstick shades for Indian skin tones – some of them at least! The best red lipstick shades from the Lakme 9 to 5 range – very popular! The best red lipsticks for fair skin – no you can’t wear just any red! The best red lipsticks for dark skin – of course you can wear red! When we asked Ankita to list all the red lipsticks in her makeup kit, she named just one. And once she put it on, we understood why this red is her sole choice. Her dusky almond skin tone warmed up the minute she put on this true red lipstick shade from the Wet n Wild liquid mattes. It sure did make her look bold and fierce. The best red lipsticks for dusky skin tones are those with warm undertones. Look for bright orange-red lipsticks that will bring a glow to your face. Do you know your skin undertone? To find out, read our post on identifying SKIN UNDERTONES FOR INDIAN SKIN. Before this photo shoot, we had never seen Stuti wear red. Not even on social media! But such is the power of our collective persuasion that we convinced this browns-only girl to sport this Colorbar red lipstick. And now, she’s a believer! You really can’t argue with the way those little orange hints in this red lipstick shade complement the warm undertones of Stuti’s beige complexion. 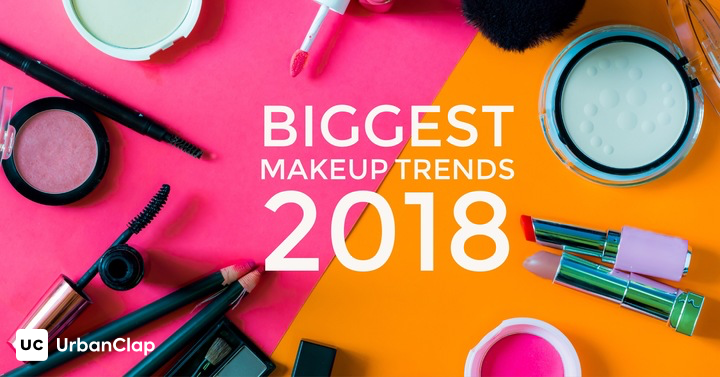 Besides this, we also recommended she try more warm red lipstick shades, like the Lakme Smooth Merlot, and the Lakme 9 to 5 Sun Shimmer shade that has a hint of sparkle. The best red lipsticks for light skin tones are those with warm undertones. Look for red shades with a slight orange tinge. Be sure to stay away from strong orange red shades – those can make your skin look sallow or yellowish. Know what’s better than a red lipstick? A pink one of course! Browse through MAYBELLINE’S BEST PINK LIPSTICK SHADES FOR INDIAN SKIN for your perfect pink. When it comes to the perfect red lipstick shade, Tanishka trusts only one – MUA’s Scarlett red lipstick shade. Tanishka’s skin tone has a lovely warm yellow undertone that stands the chance of looking sallow if she wears an orange-red lipstick shade. A neutral true red lipstick, like this MUA lipstick, works best for her. The best red lipstick shades for wheatish medium skin tones are neutral and brick reds. These are vibrant yet muted at the same time. They won’t contrast with your skin tone. What we loved most about Divya’s red lipstick is that almost anyone can pull it off! This true red lipstick shade suits most Indian skin tones, and works for warm and cool undertones. Since Divya’s sand complexion has a neutral undertone, she can wear blue reds as well as orange reds. Neutral fair skin can sport any medium red lipstick shade (i.e. orange reds and blue reds) in the middle ranges. We would advise caution against extremes like blood red lipsticks since these could make your face look pale. We also insist that you be careful about applying the right foundation for your skin tone. Never take foundations lightly – they can make or break your look! Read our post on how to choose the BEST FOUNDATIONS for Indian Skin Tones. For work wear, Pavitra goes for a subtle blue red lipstick like Colorbar’s Checkmate. The blue tones in it go well with Pavitra’s cool walnut skin tone. On Fridays though, she likes to up the color quotient with an intense Chambor Desired Red lipstick shade. We suggest cool shades of red like blood reds, wines, and berries. These blue reds highlight the cool undertones and prevent your face from looking ashy. Looking for the BEST RED LIPSTICKS FOR DARK SKIN TONES? Read our post to find out. Agreed, this lipstick is more towards the plum family than reds, but we’ll let that pass. This blue red lipstick from Bhavya’s makeup kit looks fabulous on her cool ivory skin tone. What’s interesting is that the other red lipstick shade in her kit is an orangey matte red lipstick shade from NYX (called Amsterdam!) that looks just as good. She’s one of the few cool skin undertones we’ve come across that can sport a warm orange red lipstick shade just as well as a blue red one. …But without the ability to sport warm and cool red shades, we recommend bright and perky berry reds as the best red lipsticks for fair skin with cool undertones. While we also recommend wine reds, just be careful to not choose a very dark red wine shade. The contrast would make you look pale. Akanksha’s natural wheatish complexion and this warm shade of red lipstick get along quite well! Some would call the Blaze of Red lipstick shade a brick red; others would say that it leans towards a blue red shade. But one thing everything can agree on is that it looks spectacular on medium skin tones. Things get interesting when you have to pick red lipstick shades for a medium skin complexion with a neutral undertone. While you can choose anything between the darkest and brightest shades, it will always have to be a true red. You can neither go too orange nor too blue. Always wear a red that’s neutral and true. We love the way Nupur’s red lipstick shade makes her cool almond complexion come alive. This choice of a blue red lipstick shade from the Deborah Milano lipstick collection lifts her face, which tends to look pale with just an eyeliner. It’s a good option for your daily office look. Then we’re guessing your dusky skin leans more towards a neutral undertone than a cool one. So you can sport both: blue red lipsticks like the one Nupur is wearing above, and even orange red lip colors. Just like the Maybelline red lipstick that we also found in her makeup stash. Nupur has a soft spot for Maybelline! If you do too, check out our list of the BEST MAYBELLINE RED LIPSTICKS. Vinushka’s personal style statement is subtle and demure. So is her choice of a red lipstick. From the Lakme 9 to 5 lipstick range, her light orange – red lipstick takes inspiration from the palette of a warm sunset. It brings out the glow in Vinushka’s warm ivory skin tone without completely stealing the spotlight from her overall look. The best red lipsticks for light skin with warm undertones are muted orange reds like the one Vinushka is sporting. Too much of an orange undertone would make this skin tone look very yellow and pallid. The LAKME 9 TO 5 LIPSTICK RANGE has some nice red lipsticks to choose from. Do give it a read! Meghna is one tough cookie! Before this article, we tried hard to make this loyalist try something other than her Lakme red lipstick shade. Long story short, Meghna had her way, and we were the ones convinced! Just look at that deep red lipstick shade light up the room – and her golden neutral skin complexion too! Me wear Coral? Never! At least not before my co-beauty conspirator Bhavya (who’s sporting the lovely wine red lipstick above) made me see things, or rather myself, differently. So here I am, sporting this coral red lipstick from Sephora. I have a neutral dusky skin tone that tends to look ashen at times – especially when I’m not wearing a tinted moisturiser or foundation. This bright red with orange tints adds just the right amount of color to my almond complexion and lifts my look. There’s also my trusty blue – red from ColorBar (called True Love) that does the job just as well. That is, if you too are a neutral dusky skin tone, your best bets are bright red lipstick shades that can be orangey, blue-based or neutral red. 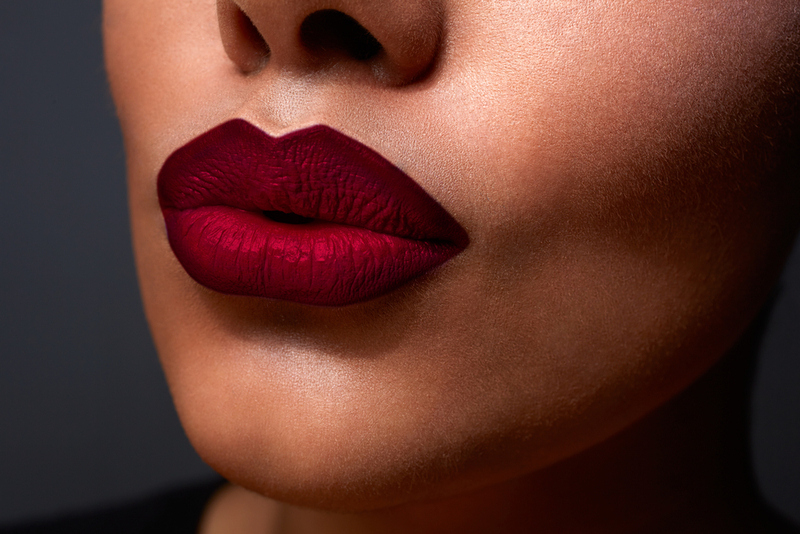 You can even try a few wine red lipsticks if you want to sport dark shades of red. Extremes are an absolute NO. Hey Tanya! Glad I could be of help. I’m curious to know which lipstick you bought. Do tell!